Maybe everyone’s a bit exhausted from the mayhem last week, but the mid-week pickings are pretty slim this time around. That said, there’s plenty of cool stuff happening towards the weekend to keep you gig fiends satisfied. 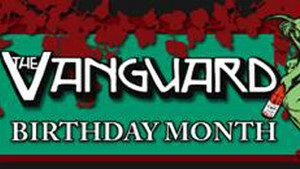 Celebrating six years of the hottest gigs in Sydney, The Vanguard is dedicating this birthday October month to an eclectic mix of back to back acts from all over the world.